J.R. Smith doesn’t only parties when he’s in NYC. 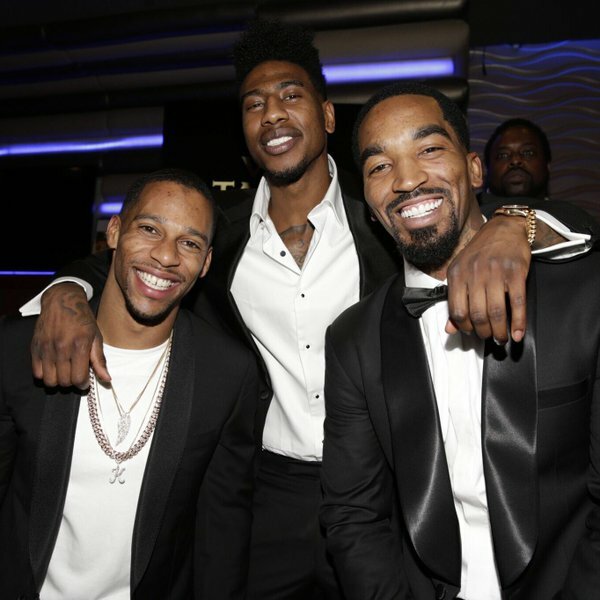 The Cleveland Cavs guard held a black-tie “Casino Night” event in NYC this past weekend to benefit the J.R. Smith foundation. The 1st annual event brought out a slew of guest, including fellow star athletes Iman Shumpert and Victor Cruz. Man what a time! Thank you to all who came out an support my foundation. Much appreciated one of many events and opportunity to raise money for our youth! Let's invest in people! Thank you @iamhenroc #TeamHennessy for your support!! Always had my back from day 1!